THERE are rules and regulation in place — constraints whose purpose is to mitigate corrupting influence in the court system, the government, the press, etc. Microsoft Florian was pressured to reveal some payments after a lot of pressure from his critics and after orders from a judge [1, 2]. He mass-mailed many journalists over and over again for years, using false pretences, all whilst offering no disclosure. We documented this for years. Most pro-Linux bloggers knew what was going on, but the lobbyist was never punished for what he did; the damage he has done is quite real and the lies were profound. Here is the complaint I sent this afternoon. With payments from Microsoft Corporation, Mr. Müller, who was previously a soccer lobbyist for Real Madrid, has been littering the Web by mass-mailing journalists and pushing the agenda of Microsoft promotion, using their talking points. He offered no disclosure until the pressure grew too cumbersome and even a judge demanded disclosure. This phenomenon is widespread and I shall produce substantial proof when you require it. I suggest contacting those who have used the services of Mr. Müller. In order to crack down on the practice of paid (AstroTurf) blogging, those who hire them need to face the consequences. Deterrence does not emanate from mere declaration of intent to address this endemic issue. Cupertino has been doing its best to sue Samsung’s Android tablets and smartphones out of the market rather than compete with them. Now, Motorola — under Google’s control — is returning the favor. 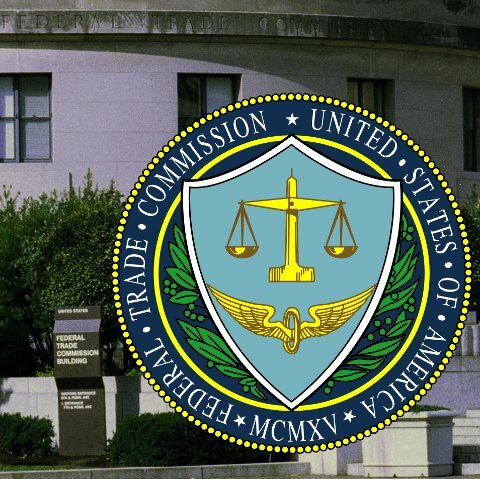 Motorola Mobility is asking the U.S. International Trade Commission (ITC) to ban the import of iPhones, iPads, and Macs. Many bloggers are pointing at Google as ArsTechnica publishes this story criticizing Google: “Three days after suing Apple, Google says patent wars hurt consumers.” I don’t know how big corporations work, but Google is the only company which has been one of the staunch supporters of users’s freedom, open source and free culture. This is also a company which never sued anyone and always improved its products to compete in the market. Notice how the Microsoft booster spins it so shamelessly, turning defence into offence. It’s all spin and it is spreading quite “ironically”. This is why it’s natural for the lobbying to be of the same flavour, too. Microsoft Florian also received payments from Apple, not so surprisingly. Apple and Microsoft sure share a pain. Apple sees Android growing far faster than before and Microsoft cannot even get started. As one Finnish blogger put it,”[t]his is the blog of what happens when Two Plus Two is Less Than Two. Not less than four, that was not a typo, I really meant less than two! Or in other words: why do we know now, that Microsoft’s Nokia gambit has failed beyond recovery. Linux and Apple: Which Is the Lemon, Which Is the Lemonade? Think you’re going to run Linux as a second operating system on that new Retina MacBook of yours? Think again. Phoronix’s Michael Larabel has described it as a “less than ideal experience,” even after jumping through the various technological hoops necessary to make it work at all. But who’s at fault for this — Apple or Linux? Microsoft Windows has long been the operating system of choice for corporate level desktop PCs, but times change. There are a number of drivers that are pushing Linux into the domain of the end user device from the enterprise server space; such as tablets, smartphones and the 20 million desktop PCs and countless server installations using the free Ubuntu Linux operating system. What’s wrong with this picture? There’s obviously a great interest in GNU/Linux in Walmart’s customers. Several books about GNU/Linux are on the first page of the “best-sellers” list under Books/Computers/Operating Systems. Why don’t they sell more than a couple of models of GNU/Linux PCs (ones with a popular distro at least)? Robert Litt teaches sixth grade in Alameda County, California. Until recently, he taught at a school that lacked a functioning computer lab. For reasons that are probably clear to anyone who reads technology and nerd culture blogs, a school in 2012 not having a computer lab is a totally unacceptable thing. It occurred to Litt that if students aren’t coming out of primary education with some basic computer literacy, they’re being drastically underserved by their school system, and he wasn’t ready to let that fly. So, with no budget to speak of and in dire need of a computer lab, Litt turned to the warm embrace of free software and put together 70 computers running Ubuntu, meaning that ASCEND, the school where he teaches, now has not only a computer lab, but computers in classrooms as well. Linux 3.6 introduces quota and backup functions for Btrfs as well as security enhancements for temp directories. New interfaces enable the kernel to be made aware of changes to the sizes of used partitions. Systemd has picked up a new feature — Forward Secure Sealing (FSS) — in an attempt to better secure system logs on the local file-system in the event a hacker penetrates the system the logs cannot be modified. The code branching of the next Mesa release — what was going to be known as Mesa 8.1 but is now being called Mesa 9.0 — is being delayed by a few days to allow time for some last-minute features to land. The OpenGL ES 2.0 support branch has been merged into mainline Compiz. This allows the once-thriving compositing window manager to run on the PandaBoard ES and various other mobile/embedded devices that only support GLES for rendering. Sam Spilsbury has announced via his blog that the OpenGL ES support was merged into mainline Compiz. “That means as of now, you can build lp:compiz on a platform like the pandaboard below and expect it to run as it does on the desktop…It also means that we’ll be able to deploy compiz on any other platform that implements OpenGL|ES 2.0.” This comes after KWin and GNOME Shell / Mutter have already supported OpenGL ES as a subset of OpenGL. enius Mathematics is a very useful tool that intends to help with many things from simple calculations to complex research and education. The application uses a its own language extension called GEL, and many of the standard genius functions are written in GEL itself. The GNOME developers announced earlier today, August 22nd, the Beta release of the upcoming Totem 3.6.0 movie player app, that will be part of the upcoming GNOME 3.6 desktop environment. Last week a new Humble Indie Bundle launched with a focus on Android games but with support for Linux, Mac OS X, and Windows too. Being announced today are a few more titles that have been added to the DRM-free cross-platform game bundle. Developers behind the open-source multi-platform Alien Arena game have managed some performance improvements as well as visual enhancements through some improvements to the engine’s renderer. Alien Arena is powered by the CRX game engine, which is a heavily-modified version of the open-source id Tech 2 engine that’s since been largely rewritten to incorporate high-resolution textures, GLSL per-pixel lighting, parallax mapping, light bloom, Open Dynamics Engine physics support, shaders, texture particles, OpenAL, and various other features. The developer behind LightDM-KDE has called for merging the log-in manager into KDE Workspaces. KDM, however, will remain the default but it will become optional with LightDM-KDE being a build-time alternative. David Edmundson has long been working on LightDM-KDE: a version of the LightDM catered towards KDE. With Kubuntu 12.10 planning to use LightDM-KDE (the Unity/GNOME version of Ubuntu already uses LightDM), Edmundson is looking to make LightDM-KDE more official. Currently LightDM-KDE is living within KDE’s Playground. Some of my reviews are inspired by new arrivals in the families of popular Linux distributions. Others – because I am interested in one or another aspect of the distribution. There are also cases, when authors of the distribution ask me to review it. The Gnome team has announced a beta release of Gnome Shell 3.6, the next major release of Gnome Desktop Environment Shell. Version 3.5.90 is a beta release, which means it contains all the features of the upcoming Gnome Shell Release but may contain some bugs which may effect stability of the desktop and applications. The GNOME Project announced earlier today, August 22nd, the immediate availability for download and testing of GNOME Shell 3.6 Beta. HarfBuzz is a text shaping engine that is use for implementing OpenType fonts. This has been finally merged with pango and will be avialable in Gnome 3.6. A ton of Updates for Gnome components! It is one of those “new versions” days again were new bug fixing versions for applications, libraries and components for the Gnome desktop environment are released. This time it is about the stable or unstable branches of Vala, Empathy, Epiphany, gThumb, WebkitGTK+, Nautilus, Seahorse, Gdm, Eye of Gnome, File Roller, Evince, GTK3, Clutter and Mutter that will be analysed on another article and GLib. Gnome 3.6 first impressions | Simply Beautiful! Johansson or Gnome, Gnome or Johansson? I am very sorry but I have to say it. Both are ***** beautiful! I tried Gnome 3.5.90 for about 7 hours, and I don’t really know what to write about it. Gnome 3.6 it’s impressive better than its predecessor. Fast, clean, simple, pretty ..slick. This time Gnome isn’t about the Shell. While Shell received significant changes, the rest modules of Gnome pull the attraction. Amazing things from the Gnome Team in this release. Congratulations boys ‘n’ girls of Gnome Team! The PCLinuxOS developers announced a few minutes ago, August 22nd, the immediate availability for download of the PCLinuxOS KDE 2012.08 Linux operating system. PCLinuxOS KDE 2012.08 comes in two flavors, one with a full version of the KDE desktop environment, and another one with a minimal installation of KDE. Arch Linux has a cult following, but its installation can be a challenge for mere mortals. I have been looking for an Arch-based distribution which offers everything that is good in Arch without having to struggle with it’s installation process. PCLinuxOS KDE and KDE-MiniME 2012.08 maintenance releases are available. These latest releases bring some refreshed packages and several bug fixes. Most loyal users won’t need to to download and re-install if they’ve kept current with routine updates. We all know about the rocky road that Gnome 3 has been travelling on since March of last year. Not since KDE 4.0 has a desktop environment been met with such community backlash and perceived exodus. I say “perceived” because that’s what it is. In the world of Linux, these things are almost impossible to measure and are almost always gauged by media reaction. These powerful media reactions almost always build the bandwagon that everyone hops onto. A number of outstanding bugs still present in Fedora 18 apps have delayed the release by a week. This was decided in a go/no go meeting organized by Fedora QA team this week. Currently numerous bugs are still unresolved in Fedora 18. These bugs have been marked as important and their resolution is necessary before Fedora 18 is released. The developers also need to solve the problem of incomplete test matrices, which are still not ready. Ubuntu 12.04 brought to the table one of the most user-friendly desktop operating systems to date. With the improvements to Unity, Ubuntu took leaps forward in usability and did so in an incredibly unique way — making something radically different work more efficiently than the standard metaphor. Well, release 12.10 (Quantal Quetzal) will arrive October 18, 2012 and it promises to improve upon what 12.10 had to offer. Seeing as how that is now less than two months away, I thought it time to discuss some of the feature additions that will appear in the upcoming release. Ubuntu is innovative, forward thinking and the most likely LINUX distribution to have any hope of taking on Windows, MacOS and ChromeOS on the desktop. Ubuntu also has aspirations of taking on the mobile and tablet market dominated by Apple and Google. So many other distributions are derived from UBUNTU including the distribution that is competing for the honour of top dog in the LINUX world, MINT. Ask most people in the LINUX world which distribution they would recommend to people who are thinking of trying LINUX and UBUNTU would be the first word out of their mouths. Recently I have shown that Intel graphics hit a high point with the Linux 3.6 kernel and that Ubuntu 12.10 is faster with Intel hardware compared to the current Ubuntu 12.04 LTS release. In this article are more Ubuntu 12.04 LTS vs. Ubuntu 12.10 benchmarks to highlight the performance improvements for Intel Sandy Bridge graphics that will be found in Ubuntu 12.10. Daniel Holbach from Canonical proudly announced a few minutes ago, August 22nd, the schedule of this year’s second Ubuntu Developer Week event. The second Ubuntu Developer Week event for 2012 will take place between August 28th and 30th, and will cover several aspects of Ubuntu development, from crash-courses in getting started with working on Ubuntu to more advanced topics. Game engine maker Unity Technologies announced at the Unite 2012 conference in Amsterdam that Unity 4.0 public beta will be available today. Ubuntu 12.04 Linux isn’t just a very popular end-user Linux, it’s also Canonical’s Long Term Support (LTS) version. That means, besides Linux distributions’ usual constant stream of improvements, it gets updates for business users and the first one is just about here. Officially, August 23rd will see the first update, Ubuntu 12.04.1, to the operating system. Actually, the Ubuntu update is running a bit late. In any case, here’s what you can expect from it. Ubuntu 12.10 is going through a massive development phase with new and exciting features being added to it everyday. Ubuntu developers are working hard to integrate onlines services within Unity. Webapps are great example of what kind of integration Canonical is planning for Ubuntu. Gnome Online Accounts is one such powerful and useful tool which needs a better integration within Unity. Although Ubuntu teams are doing just that. Ubuntu 12.10 will ship Gnome Online accounts by default. With the Unity 4.0 game engine gaining native Linux support, Canonical is sponsoring a session at this week’s Unite game development conference to promote their Ubuntu Software Center to game developers of this Mono-powered proprietary game engine. “This week Canonical is sponsoring a developer session at Unite 2012 to share how easy hundreds of thousands of Unity developers can now bring their games to the Ubuntu Software Center. Unite is the yearly conference for the Unity community with hands-on demonstrations, educational seminars and keynotes about developing games with Unity and we are happy to be a part of it,” was said by Canonical’s David Pitkin on the Ubuntu developer blog. It took a while, but the era of 32-bit computing may finally be coming to a close. At least, that’s what the Ubuntu Server Team’s decision has implied with its decision to cease providing 32-bit installation CD images for the upcoming 12.10 release of the operating system. Here’s a look at this plan, and what it reveals about hardware trends more generally. Like most major operating systems, Ubuntu is currently available in both 32-bit (i386) and 64-bit (x86_64) versions. Unless you’re a geek, you probably don’t have much reason to care about the differences between these two builds, but there are certain technical advantages to installing the 64-bit variant of Ubuntu. The catch, however, is that not all computers support 64-bit operating systems — although virtually all machines manufactured in the last few years should. LINUX VENDOR Canonical will release Ubuntu 12.04.1, introducing support for Calxeda’s ARM based system-on-chip (SoC). Canonical’s release of Ubuntu 12.04 Long Term Support (LTS) earlier this year marked the Linux outfit’s latest push into the enterprise with an increased emphasis on servers. Now the firm has released a rare point release dubbed 12.04.1 LTS that brings support for Calxeda’s ARM SoC and the upcoming Folsom release of Openstack software. Turn a Keyboard Into a Computer with Raspberry PiThe Raspberry Pi is still picking up momentum with different types of DIY projects. If you’re looking for a means to build an old-school computer-in-a-keyboard with a Raspberry Pi, the German blog Preamp shows you exactly how to do it. Regrettably, this is the first time I have reviewed the Cinnamon desktop which is the new shining star of the Linux Mint Project. This release is one that should not be missed for Linux Mint lovers. The Nikon S800c is a 16 megapixel point-and-shoot camera with Android built in. Aside from taking pictures, the device can download and use Android apps over WiFi, just like a typical Android phone. While smartphones take good photographs and videos, “many dedicated cameras continue to have an edge in overall features, image quality and editing features,” said Pund-IT’s Charles King. Cameras: The New Frontier for Android? Sony today announced that they are releasing their Dynamic Android Sensor HAL (DASH) sensor framework as an open source GitHub project. Essentially this means that custom ROM developers and other mobile players can contribute to the project and improve things for all involved. These specs are definitely not earth shattering, but ZTE is hoping that the handset’s design, along with the presence of Ice Cream Sandwich out of the box, will be enough to coax European buyers into dropping €199 for the device. Overall it appears the phone is not far off from being released, so stay tuned to DroidDog for additional details on the ZTE Blade III at the IFA show in Berlin next week. I have an Acer Aspire One netbook which came pre-installed with Windows 7 starter and an Android partition. While not as popular as NVIDIA’s Tegra 3 ARM SoC, the Samsung Exynos 4412 quad-core ARM Cortex-A9 found on cheaply priced ODROID-X can actually outperform the quad-core NVIDIA ARM processor. Here are benchmarks of the $129 USD ODROID-X benchmarked against the NVIDIA Tegra 3 reference tablet and a PandaBoard ES running the Texas Instruments OMAP4460. Watch out Asus, Archos is gunning for you and your tablet form factor. Today, as expected, Archos introduced its next series of Android tablets in the Gen10 ARCHOS 101 XS. Priced at $399 we’re big fans of the design and think its the best Archos product to date. Tablet PCs are expected to surpass notebook sales in the third quarter as new models are about to hit the market, according to industry sources. Sources said the tablets have price advantages over notebooks, especially white-box ones, making them popular choices for consumers. Mike Olson and John Schroeder shared a stage at a recent meeting of Silicon Valley’s celebrated Churchill Club, and they didn’t exactly see eye to eye. Olson is the CEO of a Valley startup called Cloudera, and Schroeder is the boss at MapR, a conspicuous Cloudera rival. Both outfits deal in Hadoop — a sweeping open source software platform based on data center technologies that underpinned the rise of Google’s web-dominating search engine — but in building their particular businesses, the two startups approached Hadoop from two very different directions. A few months ago we asked a simple question – what do you use for your router, and what would you look for in a router review. Unless you’re entirely mobile, getting online these days pretty much requires the use of some kind of NAT router. Picking that hardware is often a function of what software can be tossed on top, and having a consistent and familiar set of configuration pages makes setup and maintenance much less of a nightmare than dealing with the third party alternatives. There are so many arguments for using some open source package instead of the first party software which is usually derived from the board software package the SoC vendor hands out. I walked into the business heart of San Francisco, tapped on the closed offices of a profitable IT business, scooted into what looked like their main conference room, sat down, and started fixing bugs. I felt a little like an accountant breaking into someone’s ledgers at night, and double-checking their book-keeping. I was there for the “Twisted Sprint”, which is perhaps both slightly less fun and/or painful than it sounds. Earlier mou this year, over 100 of the ColdFusion community’s most passionate and innovative members met in Dallas, to convene the second year of OpenCF Summit, a conference focused exclusively on advancing free and open source software in the ColdFusion Markup Language (CFML) community. Energized by a special video greeting from the father of ColdFusion, Jeremy Allaire, attendees spent the next 72 hours learning about the enterprise-class open source CFML engines Railo and Open BlueDragon, powerful development frameworks like ColdSpring and Mach-II, and the sophisticated Mura Content Management System. All culminating in a better understanding of how to promote this elegant and powerful language as an accessible and uniquely well-suited platform for open government and civic hacktivism. There’s several interesting Linux events taking place next week in San Diego, California that will excite many Phoronix readers. Add-ons are a big part of the Firefox experience for many users of Mozilla’s popular browser, and just recently we saw the number of add-ons downloaded so far cross the 3 billion mark. The people who stuffed an enterprise-ready version of the OpenStack cloud onto a USB stick have devised a cut-down freebie edition to get you started. Piston Cloud has released Airframe, a scaled-down version of its Enterprise OpenStack product, allowing users a taste of the OpenStack installation and management process that it claims allows users to move from OpenStack pilots to live cloud at the push of a button. Piston has debuted Airframe, a free version of its enterprise OpenStack cloud platform distribution that includes all of the core components of the platform including compute, storage and networking but not the high availability, zero downtime, professional support offered with the enterprise subscription. While users are awaiting the imminent publication of version 4.2 of the desktop virtualisation system, the VirtualBox developers have released version 4.1.20 with fixes that improve its overall stability and rectify various regressions. In total, the tenth update to the 4.1.x branch of Oracle’s desktop virtualisation application addresses more than twenty bugs; some of these could cause it to crash when, for example, running virtual machines (VMs) without hardware virtualisation or restoring an old snapshot. Oracle announced a few minutes ago, August 21st, the immediate availability for download of the VirtualBox 4.1.20 virtualization software for Linux, Mac OS X and Windows platforms. VirtualBox 4.1.20 comes with compile fixes for the Linux kernel 3.5 RC1 and Linux kernel 3.6 RC1, as well as for the Red Hat Enterprise Linux and CentOS 6.3 distributions. Drupal is one of the most popular and versatile platforms for Web design. It’s free, open source and will run on Linux. Early last year, a new version was released (Drupal 7), making it even better with improvements in usability, performance and security. If you’ve looked at Drupal before, but didn’t end up using it, you may want to take another look. The popular Linux web server, Apache has got a new release. This release is notably a big one, and fixes over 50 bugs and two security loopholes. The openHAB (open Home Automation Bus) has now reached version 1.0 after two and a half years in development. The 1.0 release takes a very different approach to the commercial home automation offerings, and not just by being GPLv3 licensed open source. Being open source though does allow it to be easily extended beyond the mainstream automation tasks of switching lights, activating plug sockets or moving blinds. Of course users will need to purchase and install the light switches, smart sockets and automated blinds themselves. My son was recently put on a temporary alternative milk diet, no cow, rice, or soy milk. I panicked. My entire life my family has been a cow’s milk household—I don’t know a life without dairy products. We had been making our own yogurt, so I hoped that would help. Thank goodness, my son and my family don’t have a nut allergy. Otherwise I would panic more. First, I shop. Then, panic, again. Finally, I do the math. And, yes, panic. Cow’s milk is usually $2.99 (USD) or more for a gallon where I live, and almond or coconut milk is around $2.99 (US) for half that amount. Ever wanted to hack out some code on a IDE (Integrated development environment) without having to splash the cash? Fortunately, there are some great IDEs out there that are completely free. We look into 5 open-source IDEs and look at what they can offer to developers. The Numerical Algorithms Group has released a major update to their multi-platform Fortran compiler. Beyond improving support for new versions of the Fortran language, NAG Fortran can now do OpenMP 3.0. This past week, SCO filed for Chapter 7 bankruptcy, which finally begins the end of a long saga that started over nine years ago. While their anti-IBM litigation has risen from the grave and still shambles onward, the company itself is nearly put to rest after nine years of choosing the wrong legal battle to get into. Even if it may be too early to dance on SCO’s grave, join me as I look back over the long and bumpy road to nowhere of The SCO Group. “SPEEK EENGLISH, TACO,” THE GIRL with the giant backpack yelled when Maria asked where to find a bathroom. The backpack giggled as it bounced down the hall. It had been hours since Maria began looking for a bathroom. Anger boiled inside her, but she didn’t know any English words to yell back. That was the hardest part. Back in El Salvador she’d always had something to say. The bell rang. A flood of shoulders and sneakers swirled around Maria, and she couldn’t see much until the sea of strangers streamed back into classrooms. Then she stood alone in the hallway. The Apache Software Foundation has released version 2.4.3 of the Apache HTTP Server, fixing over fifty bugs and closing two security holes. The two vulnerabilities are present in the mod_proxy_aip, mod_proxy_http and mod_negotiation modules. Goldman Sachs & Co. and units of JPMorgan Chase & Co. (JPM) and Ally Financial Inc. overstated the quality of loans underlying mortgage-backed securities they sold to the failed Guaranty Bank in Austin, Texas, according to lawsuits brought by the FDIC as its receiver. The ministry of telecommunications has asked Internet Service Providers to block 16 Twitter accounts, including those of right-wing entities and leaders such as Sangh Parivar, Panchjanya magazine and Dr Pravin Togadia blogposts and hundreds of web-pages featuring user-generated content on websites such as Facebook and Youtube. Did you know that genetic engineering (GE) “is helping to improve the health of the Earth and the people who call it home”? A trade group funded by Monsanto wants your kids to believe it. The Department of Justice (DOJ) has issued orderes to seize websites that host pirated Android apps.